Makeup By Meggy: ENDED: Urban Decay Giveaway- 200 Followers! 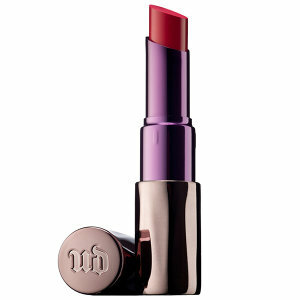 To celebrate getting 200 Followers on Bloglovin I'm giving away an Urban Decay Revolution Lipstick. This giveaway is open Worldwide! My plan is to have the lipstick shipped directly from either the Sephora or Feel Unique website depending on where the giveaway winner lives. This also allows the winner to choose the shade of lipstick they would like. I have one of these lipsticks in the Shade Naked and I really like it. It's creamy and pigmented and feels really comfortable on the lips. Urban Decay is one of my favourite brands so I thought this would be the perfect product for a giveaway. I'd like to note that this isn't a sponsored giveaway. I'm purchasing it with my own money. This giveaway is run by Rafflecopter. All you have to do to enter is be following me on Bloglovin. You can gain extra entries by also following me on Twitter and tweeting about the Giveaway. The giveaway will be open for one week. Next Wednesday June 24 I'll contact the winner. Good luck and thank you so much for following my blog! That's so generous Meggy! I've never tried these lipsticks but have read loads of good reviews on them! Yeah I really like them! I just wanted to do something nice for my followers now that I got to 200.